New Delhi : Delhi Chief Minister Arvind Kejriwal on Monday shared his view on the way the world is reacting to India's claims of conducting surgical strikes and Pakistan's denial to it. 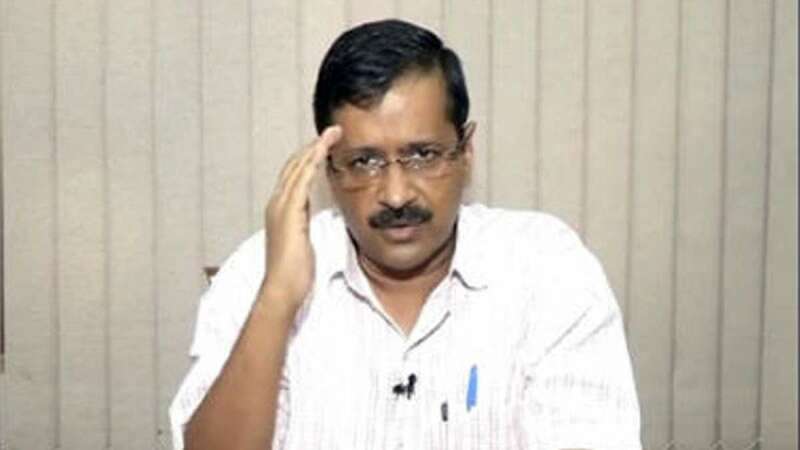 Mr. Kejriwal urged Prime Minister Narendra Modi to release footage of surgical strike India conducted on seven terror launch pads across Line of Control in Pakistan-occupied Kashmir. "The world is going in favour of Pakistan's claims, my blood boils with such reports. Release footage of surgical strikes and prove Pakistan is lying," Mr. Kejriwal said in his latest video message released. # Arvind Kejriwal urges Prime Minister Narendra Modi to release surgical strike footage. # He wants the world to know that Pakistan is lying by refusing any surgical strike by India. # Last week India claimed that seven terrorist launch pads were neutralized by Indian Army across Line of Control in Pakistan-occupied Kashmir. # "I have 100 differences with PM Modi, but I salute him for his approach towards Pakistan," said Kejriwal in a video message. # The government will release footage only when the time will be right. It will also handover proofs to the concerns if that would be required. # "PM Modi knows how to answer Pakistan; Kejriwal should better focus on his fight against Dengue and Chikungunya in New Delhi," said a BJP spokesperson. Do share your views on this with us and our readers via the comment box below.